Description: Warm and soft, the Fleece Scarf is the ideal addition for any sports team, tour group or school.. Anti-pill polar fleece | Bound edges. Size: 185cm L x 22.5cm W. Colours: Black | Gold | Maroon | Navy | Red | Royal. Decoration Areas: Embroidery | Supaetch | Supasub. Description: Stylish and warm the Cable Knit Scarf is smart enough for business wear or outdoor corporate functions.. Acrylic knit with cable knit row | Scarf pulls through end loop to create neck wrap. Size: 110cm long x 18cm wide. Colours: Black | Charcoal | Navy | Stone. Decoration Areas: Embroidery | Supaetch | Supasub. Description: A necessity in the kitchen or at the barbeque this twill fabric apron has two front pockets and 1m tie back closure. Available in 2 colours. Features: Twill fabric is made up of 65% polyester and 35% cotton. Packaging: None. 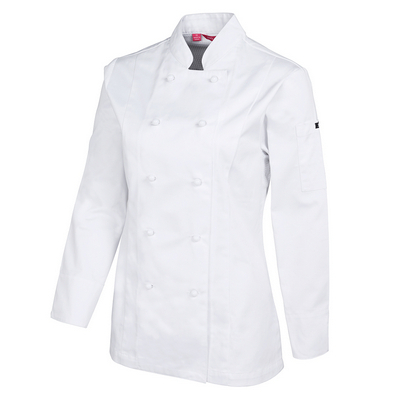 Colour: White Material: Twill fabric made up of 65% polyester and 35% cotton Product Size: 700mm(w) x 1000mm(h). Freight details : 60 per carton, 15kgs, 53 x 40 x 25cms; Decoration Type(s): Colour Print / Embroider / Full Colour Print . Decoration Area: Screen - above the pocket: 190mm(w) x 270mm(h). Embroidery: Centred on front: 200mm Dia. Other Methods: Contact your decorator for applicability and size. Description: Designed with clean lines, this durable, reliable softshell provides great value. This superior fit shell boasts quality fabric designed to deliver warmth and comfort; It’s a perfect choice for corporate uniforming or casual wear. The clean silhouette and traditional black colour make this jacket as attractive as its price.. 100% polyester woven shell bonded to a microfleece lining | Zip-through cadet collar | Full front - Reverse coil ISE | ® | zipper | Front zippered pockets | Zippered front phone/media pocket (J800M) | Adjustable cuffs | Showerproof | Easy decoration access. Size: . Colours: Black. Decoration Areas: Embroidery | Supacolour Apparel | Supaetch | Supasub. Description: This weather-stopping, three-layer soft shell comes equipped to take on the elements. Engineered with a Vor-Tech performance membrane, this lightweight technical softshell features superior fit and breathable performance for maximum warmth and protection in any season.. 100% polyester woven shell bonded to a microfleece lining and a Vor-Tech membrane | Zip-through collar with chin guard | Full front - Reverse coil ISE® zipper | Front zippered pockets | Adjustable cuffs | 10,000mm waterproof rating | 5,000gm fabric breathability rating | Easy decoration access. Size: . Colours: Black. Decoration Areas: Embroidery | Screen Print | Supacolour Apparel | Supaetch | Supasub. Description: This weather-stopping, three-layer soft shell comes equipped to take on the elements. Engineered with a Vor-Tech performance membrane, this lightweight technical softshell features superior fit and breathable performance for maximum warmth and protection in any season.. 100% polyester woven shell bonded to a microfleece lining and a Vor-Tech membrane | Zip-through collar with chin guard | Full front - Reverse coil ISE® zipper | Front zippered pockets | Adjustable cuffs | 10,000mm waterproof rating | 5,000gm fabric breathability rating | Easy decoration access. Size: . Colours: Black,Black. Decoration Areas: Embroidery | Screen Print | Supacolour Apparel | Supaetch | Supasub. Description: The perfect jacket for all season outdoor activities, offering incredible versatility and useability.. Taslon twill with diamond-quilted nylon lining | Front storm flap with Velcro closures | Zippered front pockets | Full front ISE | ® | one-way zipper | Elastic drawstring with toggles around base | Hood with elastic drawstring in collar | Right-hand internal pocket | Cuffs with Velcro tabs | Critically seam-sealed for added waterproof protection | Embroidery access. Size: . Colours: Black,Black | Black,Red | Navy,Navy | Navy,Silver. Decoration Areas: Embroidery | Supasub | Supaetch | Supacolour Apparel | Screen Print. A classic infant's tee, constructed for comfort, quality and style. Features: UPF Compliant, UPF Sun Protection. Small in size, Big in features. Detais: 100% Cotton for 100% comfort, 165gsm ring spun Jersey knit fabric, JBs Shape staying Elastane crew neck, Vertical side seams minimise twist in the tee's body, Complies with Standard AS/NZS 4399:1996 for UPF Protection. Colours: White. Sizes: 00 | 0 | 1. Classic FitFeatures: UPF Compliant, UPF Sun Protection. Infant 210 Polo. Detais: 65% Polyester for durability, and 35% Cotton for comfort, 210gsm pique fabric, easy care and reduced pilling, Complies with standard AS/NZS 4399:1996 for UPF Protection, Knitted collar with reinforced herringbone tape on inside neck seam, Set in sleeve with open cuffs, Straight hem with herringbone tape reinforced side splits. Colours: Kelly Green | Black | Red | Lt Blue | Navy | Orange | Purple | Royal | Yellow | White | Hot Pink. Sizes: 00 | 0 | 1. 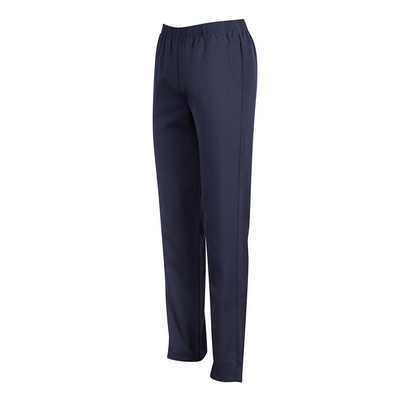 For everyday comfort and style, this classic fit mechanical stretch pant is a must. Everyday Comfort. Detais: Classic Fit, 100% Polyester mechanical stretch fabric, Fully elasticated waistband with belt loops, Two Front slant pockets, Large turn up at hem for length adjustment, Utility (Key Chain) belt loop at right pocket seam. Colours: Black | Navy. Sizes: 8 | 10 | 12 | 14 | 16 | 18 | 20 | 22 | 24 | 26. This ladies traditional style jacket features cut and sewn panels for a tailored shape. Features: Vent. Tailored Shape. Detais: 65% Polyester for durability, 35% Cotton for comfort, 190gsm Drill fabric, Mandarin collar, Double breasted, 10 interchangeable buttons, Two pen pockets on sleeve, Cut and sewn panels for a tailored shape, Back yoke with under-layer mesh fabric, Underarm with mesh fabric, Side vent for added comfort, Classic Fit. Colours: White | Black. Sizes: 6 | 8 | 10 | 12 | 14 | 16 | 18 | 20 | 22 | 24. Mandarin collar, double breasted traditional styling. Features: Vent. 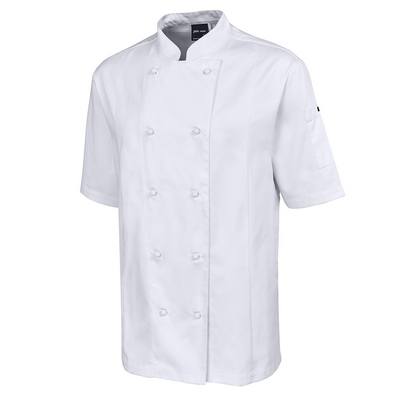 Vented Chef's Jacket. 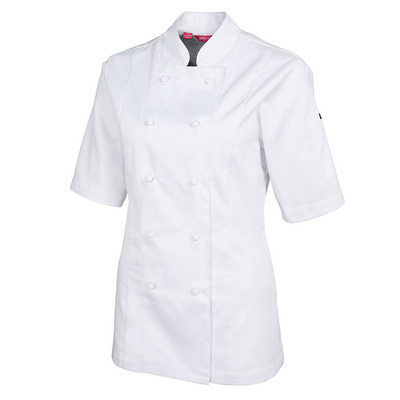 Detais: 65% Polyester for durability 35% Cotton for Comfort, 190gsm Drill Fabric, Mandarin Collar, Double Breasted, 10 Interchangeable buttons, 2 pen pockets on sleeve, Back yoke with under-layer mesh fabric, Underarm with mesh fabric, Side vents for added comfort. Colours: White | Black. Sizes: S | M | L | XL | 2XL | 3XL | 4XL. This ladies traditional style jacket features cut and sewn panels for a tailored shape. Features: Vent. Tailored Styling. Detais: 65% Polyester for durability, 35% Cotton for comfort, 190gsm Drill fabric, Mandarin collar, Double breasted, 10 interchangeable buttons, Two pen pockets on sleeve, Cut and sewn panels for a tailored shape, Back yoke with under-layer mesh fabric, Underarm with mesh fabric, Side vent for added comfort, Classic Fit. Colours: White | Black. Sizes: 6 | 8 | 10 | 12 | 14 | 16 | 18 | 20 | 22 | 24. Description: Crafted in a soft lambswool blend this traditional Herringbone blend is a season must. Packaged in a scarf gift box.. . Size: 31cm x 185cm (including tassels). Colours: Dark Grey | Light Grey | Navy. Decoration Areas: Embroidery | Supasub. Description: Lightweight and designed to keep the cold weather out, this synthetic down filled, comfortable unisex jacket offers enhanced thermal properties.. 100% nylon, horizontal quilted body | Contrast 100% polyester lining | Warm and light synthetic down for enhanced thermal properties | Zippered front pockets | Full front durable zipper | 2 generous internal pockets | Comfortable elasticised binding around cuffs and hemline | Front chest decoration panel. Size: . Colours: Black | Navy. Decoration Areas: Embroidery | Supasub | Supaetch. Description: Tailored especially to fit kids, this lightweight, synthetic down filled jacket provides enhanced thermal properties and maximum protection when you need it most.. 100% nylon, horizontal quilted body | Contrast 100% polyester lining | Warm and light synthetic down for enhanced thermal properties | Zippered front pockets | Full front durable zipper | 2 internal pockets | Comfortable elasticised binding around cuffs and hemline | Front chest decoration panel. Size: . Colours: Black | Navy. Decoration Areas: Embroidery | Supasub | Supaetch. 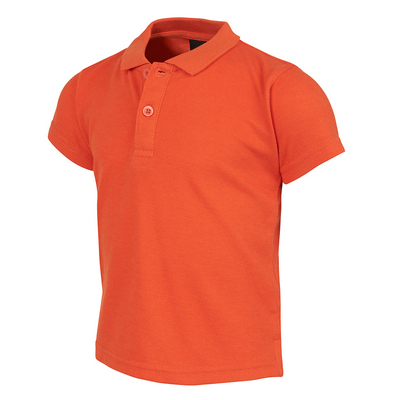 Description: A classic cut Men’s polo shirt made of high-quality cotton piqué with a perfect fit.. . Size: . Colours: Black Opal | Crimson Red | Grey Heather | Hawaii Blue | Marina Blue | White. Decoration Areas: Embroidery | Supasub | Supacolour Apparel | Screen Printing APPAREL. Description: This Women’s polo shirt with a feminine cut made of high-quality cotton piqué offers supreme comfort.. . Size: . Colours: Black Opal | Crimson Red | Grey Heather | Hawaii Blue | Marina Blue | White. Decoration Areas: Embroidery | Supasub | Supacolour Apparel | Screen Printing APPAREL. Description: Fashionable top for women, with racerback and made of soft and silky polyester-viscose-melange with fancy raw edge collar.. . Size: . Colours: Vintage Blue | Vintage Brown | Vintage Grey | Vintage Rose. Decoration Areas: Screen Printing APPAREL | Supacolour Apparel. Sizes: | 8 - 20 Size Guide | STELLA IS THE PERFECT PANT FOR YOU IF: | you generally find most pants fit well in the hip and thigh you want your pant to fit neatly across the rear with some room through the leg your waist to hip ratio is generally proportionate | Fabric: | 4-way Stretch Comfort 62% Polyester, 34% Viscose, 4% Elastane | Features: | Mid-rise with a flattering wider waistband Low profile front and back pockets Classic straight leg shape Finished inseam length: 82cm. Product Materials: Polyester | Viscose | Elastane. Colours: Black. Colours: Navy. Product Sizes: 8 | 10 | 12 | 14 | 16 | 18 | 20. Sizes: | S - 3XL, 5XL Size Guide | Fabric: | Front Body: 100% Quilted Nylon Ripstop BackSleeves: 95% Polyester, 5% Elastane Stretch Bonded Fleece Insulation: 100% Hi-loft Polyfil | Features: | Thumb loops to keep hands warm Insulated quilting on chest front for lightweight warmth Contrast front zipper and pockets Stand up collar with intergrated bonded fleece hoody. Product Materials: Nylon. Colours: BlackSilver Grey | BlackRed | BlackLime | BlackCyan. Product Sizes: S | M | L | XL | 2XL | 3XL | 5XL.